SDG&E's new vanadium redox flow (VRF) battery. San Diego Gas & Electric (SDG&E) has taken the wraps off a new battery energy storage project that will store up to 2 megawatts of electricity -- enough to power 1,000 homes for four hours. 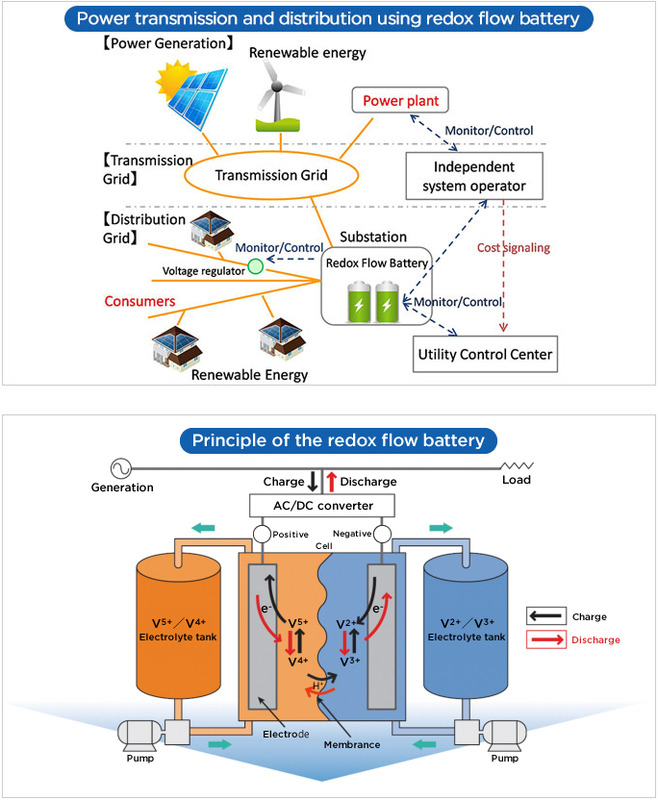 "We are delighted to see our first flow battery system operating in the U.S. through the multiple-use operation of the battery system in SDG&E's distribution network; we would like to prove its economic value and potential use on the electric grids," Junji Itoh, managing director of Sumitomo Electric, said in a statement. An interior view of the new vanadium redox flow battery installed by SDG&E. The SDG&E project is part of a trend involving utilities that deploy battery storage substations to supplement grid power supply during peak hours rather than drawing more electricity from generating sources such as coal-fired power plants. The California Public Utilities Commission (CPUC) ordered SCE, PG&E and San SDG&E to solicit more utility-scale energy storage. CPUC is requiring utilities to meet a target of 1,325MW (1.3GW) of additional power storage by 2020. Flow battery systems have an expected life-span of more than 20 years, and could have less degradation over time from repeated charging cycles than other technologies, SDG&E said. John Goodenough, 94, and his research colleagues at the University of Texas at Austin demonstrated that their new battery cells have at least three times as much energy density as lithium-ion batteries.